Years ago I photographed weddings...many many weddings. I loved it but it got to a point where I was doing portraits (newborns, babies, kids, and families) through the week and weddings on the weekends (sometimes two or three in one weekend) and I had to make a choice. 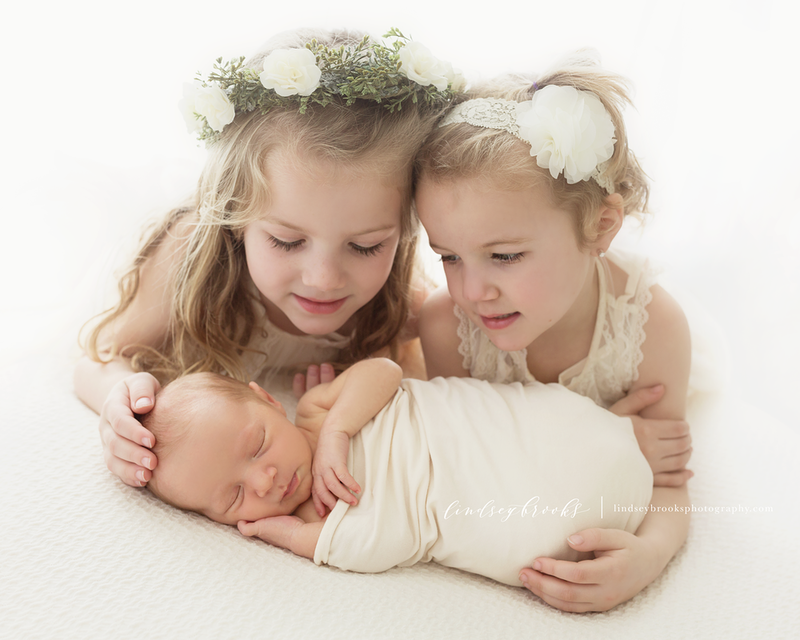 Newborn photography stole my heart and I gradually phased out of the wedding business. So when a past bride has her third baby and calls me for a newborn session- well aside from feeling a little old- I was elated that she has continued to trust me to capture the most important moments of their family’s life. Today’s session was a special one for me. I can’t wait to share more. Sisters’ matching dresses are borrowed from the studio wardrobe and are available to all clients for their portrait sessions.